Want to see all the technologies used by 5pmweb.com? 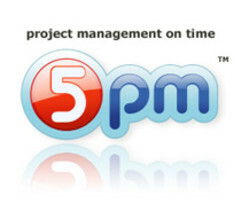 A product of project management software firm QG Software, 5pm is a browser-based project management tool. The service comes with standard project management features like timelines and deadlines, group management, and project and task navigation. The service competes with web-based project management solutions like [Basecamp](http://www.crunchbase.com/company/37signals), [ActionThis](http://www.crunchbase.com/company/actionthis), and [Huddle](http://www.crunchbase.com/company/huddle). For a quick look at additional technographic info on 5pmweb.com or any domain on the web, download our Chrome Extension. Check out our help article to see how Datanyze Insider can help you.